After numerous design iterations, and a series of public participation presentations, Los Alamos County voters approved Catalyst Architecture's final 8,000 sq.ft. 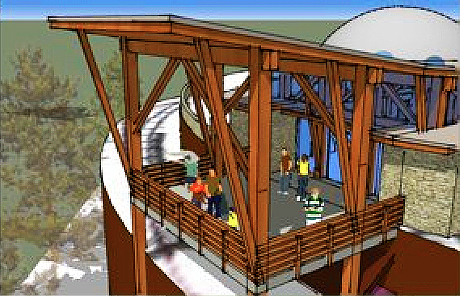 Nature Center design for construction funding in 2013. "The public input meetings, gorgeous design, and our incredible hard work at our presentation were all part of the teamwork and we are flying high. Thanks for all your amazing work!"